A new documentary is challenging outdoor sports enthusiasts to look at the landscapes they visit in a different way — through stories from several First Nations communities in B.C. working to protect or repair their territory from the impacts of industry. 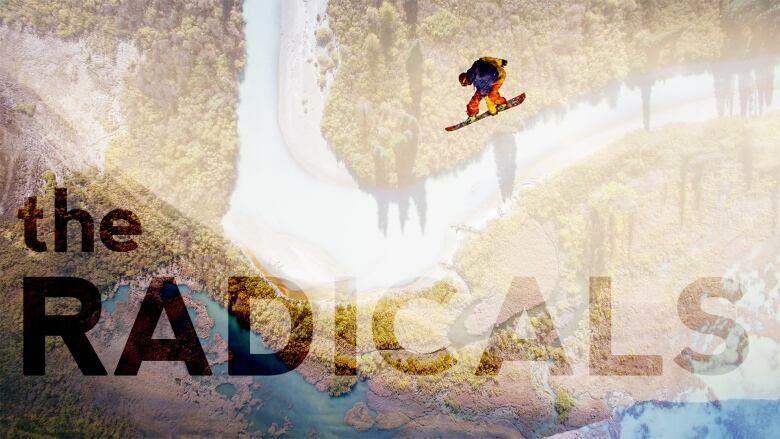 The Radicalsis a blend of sports action and frontline Indigenous activism, taking its audience beyond the waves and snowscapes of B.C. and into the communities and world views of the people who have lived and sustained themselves in those same landscapes for millennia. The film follows a group of former and current pro surfers and snowboarders who have made environmental activism a core part of the way they interact with the mountains and the water. It then turns the narrative over to the First Nations communities they've built relationships with, so they can tell their own stories. These include ecological restoration work in Xwísten territory, north of Lillooet, to protect salmon from the impacts of a series of dams on the Bridge River; how the Tahltan in Iskut are confronting mineral exploration activities in their territory; and efforts to get Atlantic fish farms out of the Pacific. "It's not just like your classic adventure film where a snowboarder stumbles upon an environmental issue or a social issue," said Tamo Campos, one of the filmmakers behind the new documentary. "This film shows a different relationship you can have with communities … with the land." 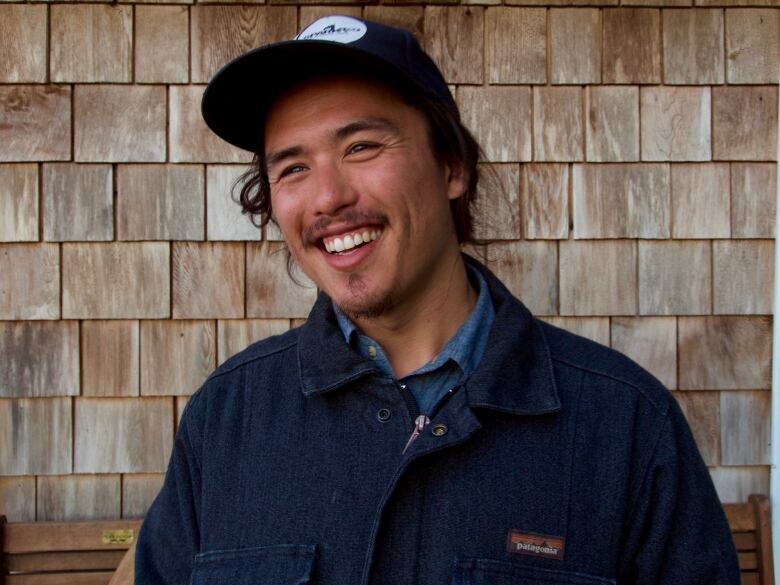 Campos is a professional snowboarder, environmental advocate and part of the collective Beyond Boarding. He said the film crew worked collaboratively with each community featured in the documentary and story consultants were hired from each nation to ensure they had agency in how their stories were told. While the filmmakers are working on getting the documentary on the festival circuit, Campos said they're also encouraging Indigenous communities to host their own screenings, free of charge. He said profits from the film will be split between the First Nations featured in the film, to support the legal efforts of the Dzawadaʼenuxw against fish farm tenures, to help the Tahltan rebuild after a devastating forest fire this summer and to help the Xwisten continue their ecological restoration work. "For myself, personally, I want to see some impacts when it comes to the actual issues," said Campos. He said pamphlets will be distributed at all the screenings with information on how to further support each community, if people are interested in getting involved. For the first few screenings happening this week in B.C., people featured in the documentary will be in attendance to answer questions and talk in more detail about what's happening in their territories. Meghann O'Brien will be among those in attendance. She is a former professional snowboarder-turned-weaver who currently has an exhibit at the Bill Reid Gallery in Vancouver. 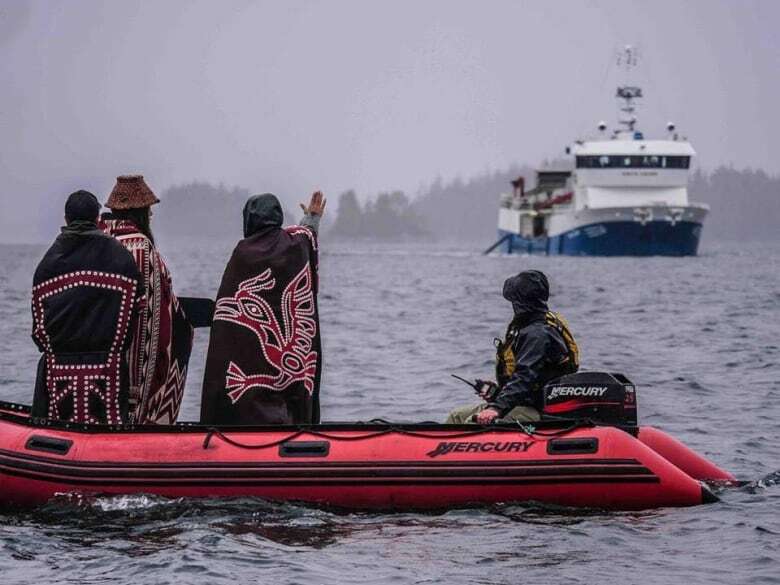 O'Brien appears in the film in the final chapter in Haida Gwaii, which focuses on the interconnection between Haida culture and the land, offering insights into the world views of some of the nation's carvers and weavers. "World views can be such a powerful way of changing our behaviour," said O'Brien. 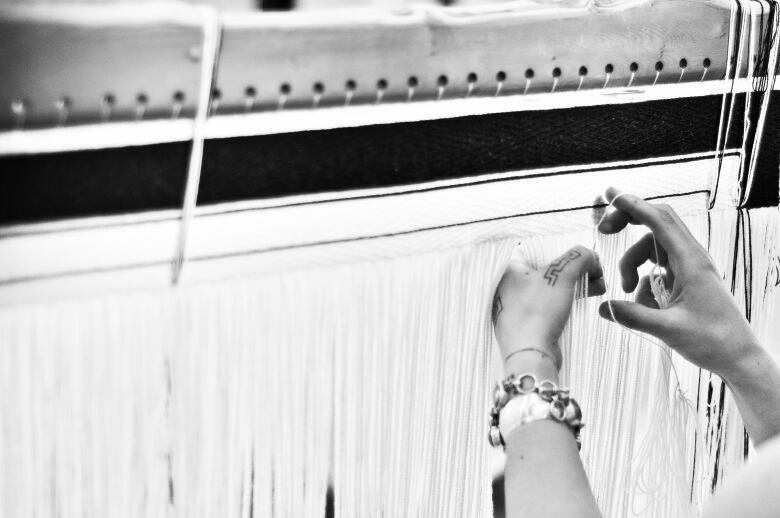 She said her own view of the outdoors changed entirely since she made the transition from snowboarding to weaving, particularly when she started working on spinning wool from mountain goats, relearning a technique used by weavers on the coast before the introduction of commercial yarn. In the process of this work came teachings from someone in Alert Bay about the spiritual significance of the mountain goat. "Coming to recognize some of those parts of those older ways of viewing the mountains and the cycles of water — being in the snow and in the mountains, on a snowboard, is such a profound interaction and it's such a privilege to be there," she said. O'Brien said she hopes the documentary challenges people to think critically about their relationship to the mountainsides and coastlines they visit or spend a lot of time on — to not just see those places as platforms for human performance. Campos echoes this sentiment when asked what he hopes people take away from the film, particularly those who engage in outdoor sports like snowboarding and surfing. "What responsibility does that give us, in taking from all these places, and how do we give back?" he said. The Radicalswill have its world premiere before a sold-out crowd at the Museum of Vancouver on Thursday. The next screening will happen Friday in Whistler and then in Squamish on Sunday. New community patrol modelled after the Bear Clan Patrol coming to Northern B.C.